The last decade has seen extreme volatility with unprecedented price swings. Having been at $115 per barrel in June 2014, oil slipped below $30 at one point in less than two years, driven lower by overproduction, harking back to the kind of volatility we saw during the global financial crisis of 2008-09. While the latter was down to a dip in demand, and the former is being caused by oversupply sentiment, volatility makes hedging crucial for fuel consuming companies. Two experts from financial consulting firm Volguard – Simo Mohamed Dafir and Vishu N. Gajjala – have made a brilliant attempt to tackle subject via their book Fuel Hedging and Risk Management published under the current batch of the Wiley Finance series. 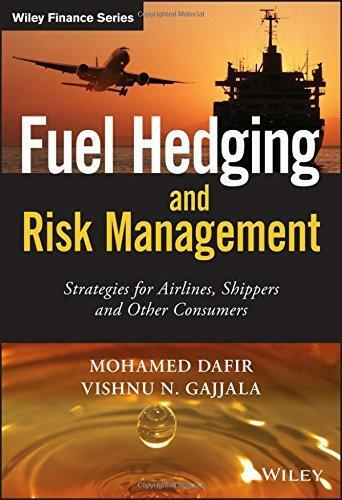 Acknowledging the turbulent times faced by fuel derivative providers, Dafir and Gajjala, set about offering their own hedging solutions to those hoping to manage fuel price volatility, by putting forward strategies from origination to execution of a hedge within confines of a holistic risk management structure. This book, of just under 300 pages split by 10 detailed chapters, begins with a basic overview of inherent market risks and the strategic nature of the oil and gas business, before moving on to tackling fuel derivative instruments. Subsequent strategic dialogue moves on to scenario analysis, derivative term sheets and market curves for those starting out on their careers. Concurrently, advanced practitioners in the fuel derivatives market will appreciate Dafir and Gajjala’s treatment of price, volatility and exposure optimisation models, as well as credit risk and associated Company Voluntary Arrangement [or “CVA”] cost examinations. Key bits of the text are accompanied by detailed case studies and examples treating real-life trading scenarios. The Oilholic feels such a format helps readers appreciate the tone and complexity of risk management of derivatives far better than a bland linear treatment of the subject. One find’s the narrative is just as useful for established players, as well as newcomers to the fuel hedging world. However, this blogger would attach a caveat – for those contemplating a career in the fuel hedging business – Dafir and Gajjala’s work is not a starter kit, rather a very solid, splendid second title that serves as a constructive follow-up to an initial baptism to the derivatives world. The Oilholic would be happy to recommend this book to commodity traders seeking a refresher course, quantitative professionals in the fuels space, risk managers and corporate treasurers at transportation firms, including airlines and shipping businesses whose needs and concerns it directly addresses. It could also be of immense help to those looking to develop a corporate framework for financial risk analysis.